Vintage Sprite Change Tray Mexican Soda Pop Advertisement. Nice vibrant color an retains a good shine. 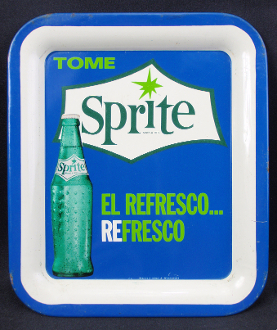 Text "Tome Sprite El Refresco...REfresco” 6 1/2" x 7 3/4". Tray has scratches and rust some around the edges. Nice looking tray.